Heroic achievement in the superior performance of his duties while serving as Fire Team Leader, 1st Squad, 2d Platoon, Weapons Company, 3d Battalion, 3d Marines, Regimental Combat Team-7, I Marine Expeditionary Force Forward, from March to August 2006, in support of Operation IRAQI FREEDOM. On 15 May 2006, Corporal Globis was leading an Iraqi Army mounted patrol that was attacked by Anti-Iraqi Forces in an urban area. He immediately returned accurate fire, silencing the threat, enabling the Iraqi Army to close on the enemy position and detain four insurgents involved in the attack. On 31 May 2006, Anti-Iraqi Forces employed two suicide vehicle-borne improvised explosive devices in a coordinated attack against coalition forces. His quick thinking and decisive actions following the attack significantly mitigated the impact and helped save the lives of innocent civilians wounded by the insurgents. His relentless pursuit of excellence was instrumental to the training and advancement in the abilities of the Iraqi Army soldiers. 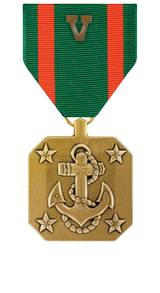 Corporal Globis’ initiative, perseverance, and total dedication to duty reflected credit upon him and were in keeping with the highest traditions of the Marine Corps and the United States Naval Service.